A divorce is never an easy situation to find oneself in; and many times proceedings can seem like they continue forever before they come to an end. A NJ family attorney can help couples file a collaborative divorce which is a new alternative to the traditional process. Collaborative divorce law allows the spouses to work with attorneys who will help them negotiate the terms of a divorce in a much friendlier and peaceful environment. Each spouse will hire a collaborative attorney who will assist them and advise them in negotiating the terms of a settlement agreement. After the two spouses meet with their individual attorneys, the four parties will meet together to discuss the terms of the divorce and try to reach an agreement. If a collaborative divorce cannot be reached the proceedings must go on to the court system. In these cases the collaborative attorney cannot represent their client in the court proceedings. The goal of a collaborative divorce is to peacefully settle all the terms of the divorce through a series of negotiations. A successful collaborative divorce will end with both parties agreeing on all the aspects of the divorce. It is best that discussion first begins between the two spouses as it is essential that the two agree upon a collaborative divorce. If the two agree, then each individual will select their own collaborative divorce lawyer to handle the case. Each NJ attorney will meet with their party to discuss all their concerns and goals. During the initial meeting the lawyer will explain all the reasonable options that are available to the client. They will also discuss many aspects that could be a hindrance to obtaining a collaborative divorce such as abuse, mental health concerns or safety issues. The attorney will provide a copy of a Participation Agreement and the collaborative divorce retainer will be signed. What will a collaborative divorce require? There are several key things that must be met in order to pursue a collaborative divorce. There will have to be full disclosure by both spouses such that there is no hidden information. This will ensure that each party receives fair dealings throughout the proceedings. It can also prohibit backstabbing or manipulative dealings. Both parties must demonstrate a mutual respect and deal with each other in a congenial manner. Each party will need to agree to share the expenses for any experts that might be needed to settle issues. During the process, neither party can pursue taking the case to court. 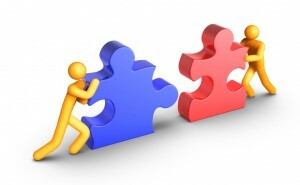 The idea behind obtaining a collaborative divorce is to settle the case outside of the courts. When couples engage in a collaborative divorce they will have more control over the outcome since they each have the opportunity to voice their opinions and concerns with the surety that they will be heard. Rather than having a judge make a final decision that affects their lives, they will get to settle various issues based on fair play and compromise. Collaborative divorces are less expensive than pursuing litigation and it can be less time consuming than court cases. Clients find that it is more flexible since they can chose the times and places of meetings instead of being placed on the court dockets. This can mean a lot less stress and anxiety than going through a traditional divorce through the overburdened court system. The goal is for the attorneys to help the couple reach a settlement without ever having to go to court. When each party accepts the settlement, an agreement which is legally binding will be signed by both parties and subsequently filed in the court to await the approval of the judge.